We had an excellent time at the COPD day last Thursday, hearing how the clinicians of the East Midlands are making a difference on the ground to patients. In particular the work of Martin Cassidy, creating infographics of the region’s respiratory data, and the more practical talks from Dr Stephen Gaduzo and Dr Ruth Cooper about the work they are doing was particularly informative. 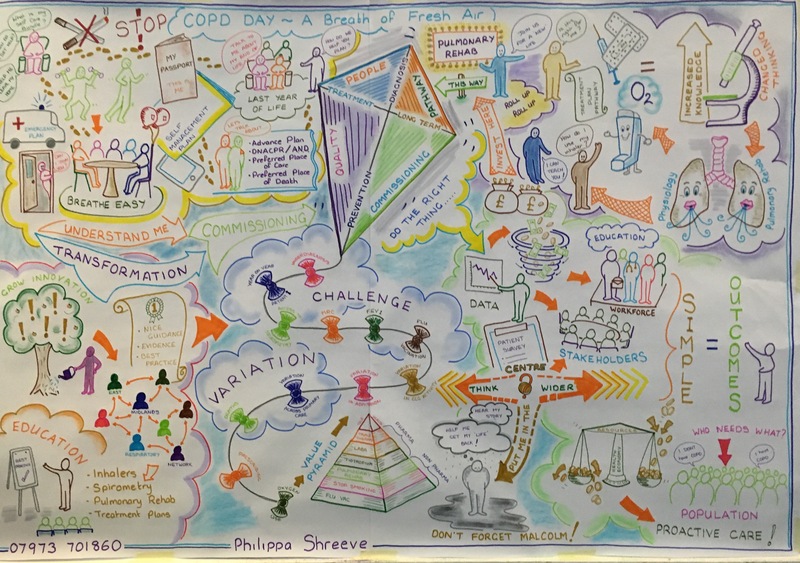 For those who couldn’t attend the conference we have attached a visual representation of the day created by Philippa Shreeve which is an excellent summary of what was discussed.